These flies are working fantastic if you know when you should use. Very popular between Czech and Polish fishermen, scud flies create confusion in other countries – for example in Italy… A lot of great Italian fishermen started to use them but also they dropped them quickly … In fact a scud fly works in a specific type of river and Alpine rivers are not the best living places for these insects. Scuds are extremely effective in rivers situated at medium altitude (300-500m ) with medium slow running waters full of aquatic plants. So if you are fishing in Alpine torrents then a scud is not for you. But if you fish in large and slow running rivers then you should have these flies because are in large number in water and are rich in protein. Scuds are swimming all seasons ( including Winter ) and based of these arguments , trout and grayling love them and hunt them all day long. 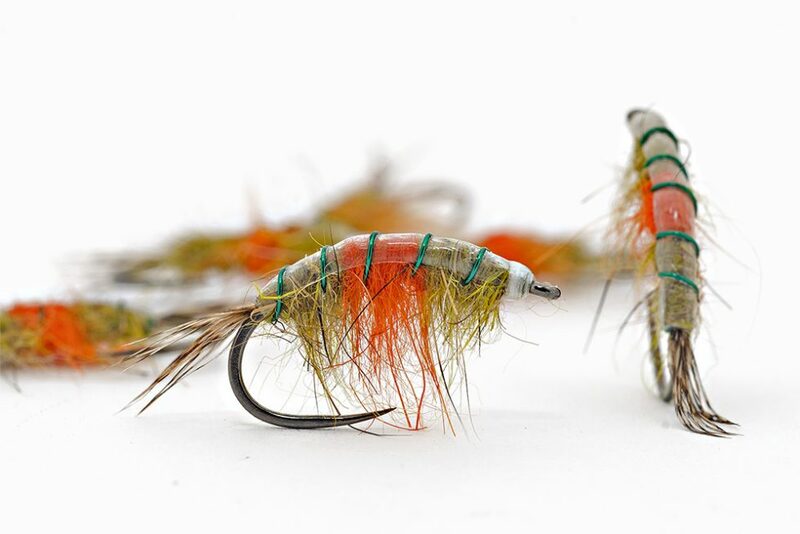 Presenting these flies is not so easy but with a little practice any fishermen who love the nymphing technique will learn fast. Just keep in consideration that these insects are fast swimming bugs and will swim parallel with river bottom between plants. Playing these flies should be done according with insects life style. My advice is to set a scud in top and to cast them 3/4 upstream and play and make dead drifting between rocks or flowing plants. The fish strike is gentle and you should keep attention all the time! If you want to tie them you should make as slim as possible to sink as fast as possible. On the other hand these flies should not be so heavy. Too have and will not float between aquatic plants. So you should make a slim profile and not too much dubbing. Just use thin lead wire, one turn on the hook shank and is enough!